The Yale Platinum 3 Star Euro Profile cylinder is a TS007 3 star Kitemarked Anti-Snap security product to provide maximum security against known cylinder attack methods. The Platinum 3 Star cylinder is independently tested by BSI to be awarded the British Kitemarked TS007:2014 3 star accreditation. Lock snapping involves snapping the lock cylinder in two, by applying force, and removing the outside part to expose the lock mechanism. Doing so provides access to the mechanism, allowing the door to be unlocked without a key! Thieves use tools like hammers and screwdrivers to snap the locks and, worryingly, it can take just seconds to gain access. This technique does not require experience or skill, merely brute force. 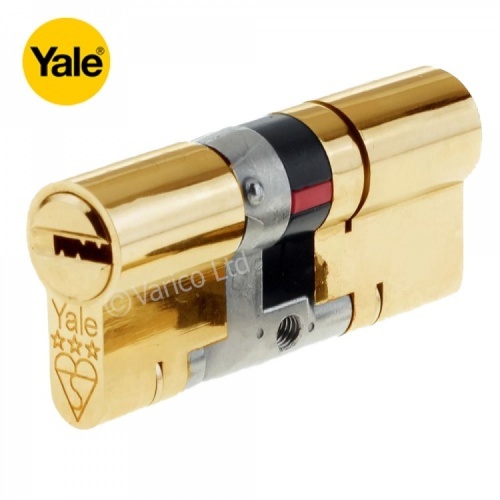 The locks most at risk of this type of attack are fitted with a euro profile cylinder. 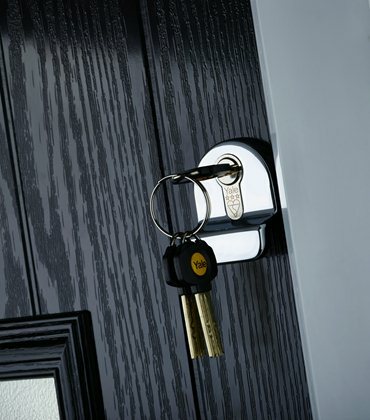 Euro profile locks are found in the majority of PVCu and composite doors installed in the last 15 years and operate in combination with a multipoint lock. How can you prevent lock snapping? Firstly, identify your lock, Do you have a Euro profile cylinder lock in your door which is more than a year or two old? If so, you could be at risk. Secondly, replace your cylinder with one that meets current standards. 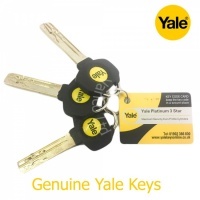 The Yale AS Platinum Series Euro Profile cylinder has been independently tested by the British Standards Institution (BSI) and awarded the British Kitemarked TS007:2014 3 star accreditation. It’s also approved by Secured by Design, an official UK Police initiative which supports the principles of ‘designing out crime’. The Platinum Series Cylinder has been developed with a number of additional security features to prevent a lock snapping attack. 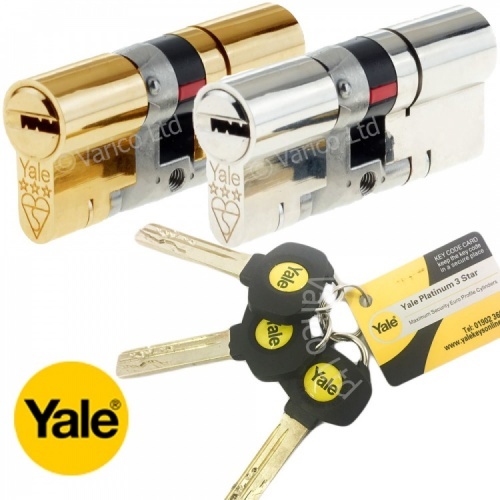 To combat this threat simply upgrade your cylinder to one that is specifically designed to prevent this method of attack, ideally one that meets the TS007 3 Star standard - such as a Yale Euro Cylinder Lock. TS007 is a standard developed in response to concerns over cylinder attacks. The standard is characterised by a 3 star rating system, and can be achieved by combining a 1 star cylinder with a 2 star security door furniture or using a stand alone 3 star cylinder. 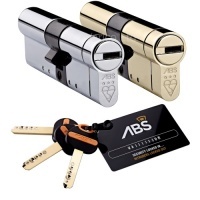 The Platinum series cylinder is approved to TS007 3 stars and does not require any additional security furniture"
Want to easily fit a cylinder lock yourself? Firstly, you will need to remove your door handle. To do this, open your door and unscrew the fixing screws, then pull each side of the handle away from the door and put in a safe place. Next, remove the cylinder fixing screw, which is level with the bottom of your existing cylinder, then insert the key in the cylinder and turn to remove. If you find it difficult, twist the key slightly to align the cam with the door – this will ensure the cylinder slides out with ease. You’ll need to measure the size of your existing cylinder by measuring the length of each half, to the centre of the cam. This will give you two measurements, for example – 60mm and 40mm. It is important to know which measurement is for the external side and which one is for the internal side – as the external side has the protection against attack. Once you have your new cylinder, insert the key and align the cam with the centre of the cylinder then place into the lock. 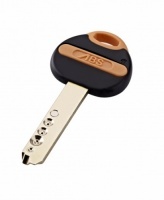 Again, you may need to twist the key slightly to ensure the cylinder slots into the lock. It’s important to remember that the AS Series and AS Platinum Series cylinders do have an external side.